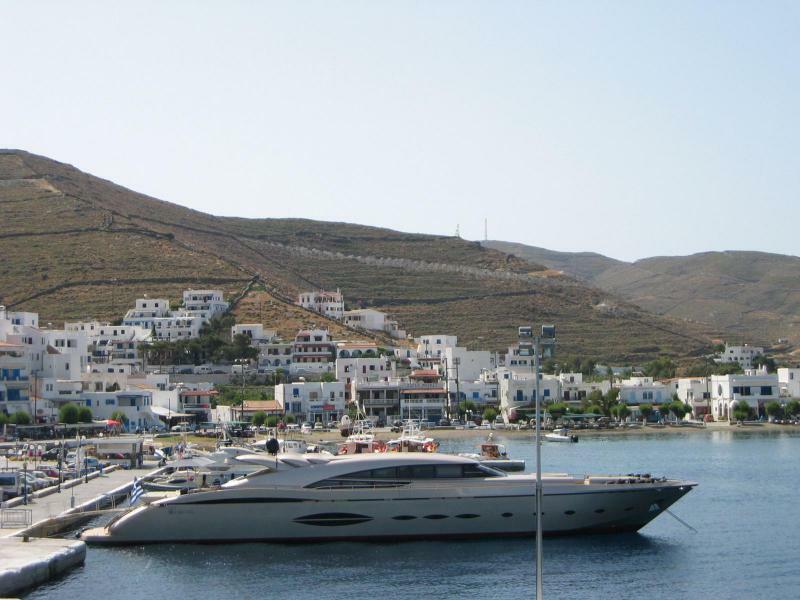 Kythnos Island is located in the Aegean Sea, close to Athens. 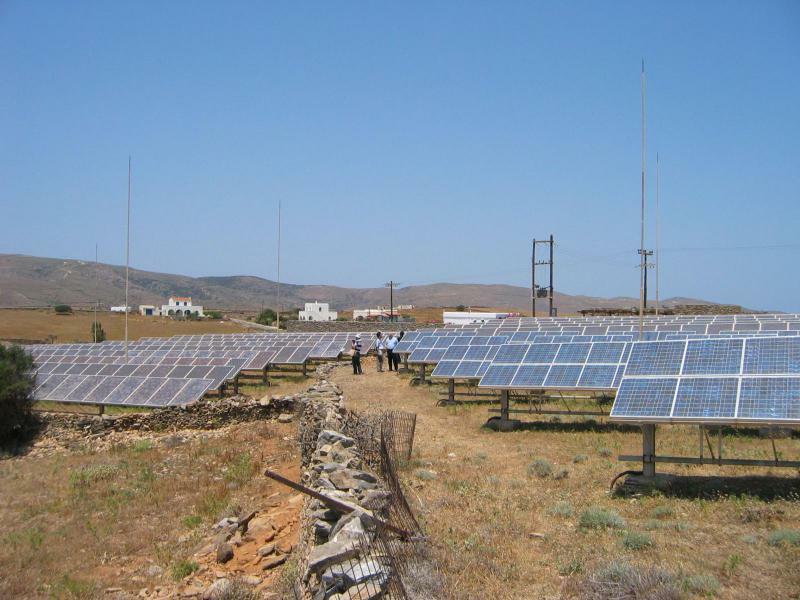 The Kythnos Island Project was funded by the European FP 5 Microgrids program, the objective of which was to test centralized and decentralized control strategies for islanding. It is a small village scale autonomous microgrid, composed of a 3-phase low-voltage network, solar PV generation, battery storage, and a backup generator. The grid is composed of overhead power lines and a communication cable running in parallel to serve monitoring and control requirements. There are 10 kW of PV at two locations, a nominal 53 kWh battery bank, and a 5 kW diesel genset. A second PV array of about 2 kW connected to an SMA inverter on the roof of the control system buildings provides power for monitoring and communication, backed up by a nearby 32 kWh battery bank. Three SMA inverters connected in a parallel master-slave configuration supply power to the 12 summer-only residences, whose minimal loads are primarily lighting and water pumping. When more power is demanded by customers than the PV systems can directly provide, one or more of the 3.6 kW battery inverters is activated. The battery inverters can operate in isochronous or droop mode. Operating in frequency droop mode permits passing of information to switching load controllers, which limit loads if the battery state of charge is low and also constrains the power output of the PV inverters if the battery bank is full.